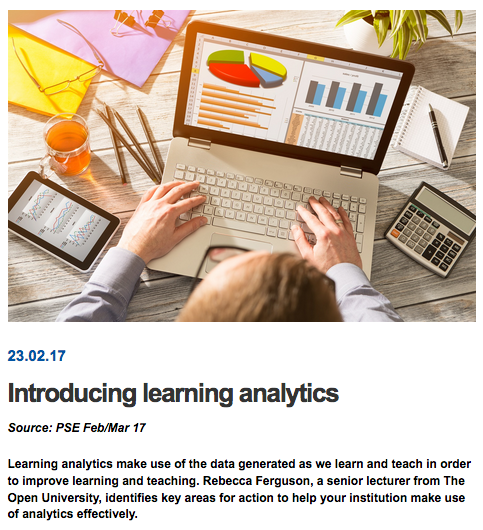 After talking about learning analytics at the BETT show, I was invited to write about them for the Public Service Executive magazine. The hard copy of PSE goes out to 9,000 subscribers, while the online version goes out to a database of 50,000. This entry was posted on March 5, 2017, 2:19 pm and is filed under Analytics, Articles, Esteem. You can follow any responses to this entry through RSS 2.0. You can leave a response, or trackback from your own site.